The Nokia Lumia 800 is Nokia’s brand new Windows Phone 7 smartphone. In fact, it’s the Finnish firm’s first handset to be packing Microsoft’s mobile operating system, and to say there is a lot riding on it is the understatement of the century. Nokia desperately needs a home run after years of poor results, and Microsoft needs a partner that will build top of the range hardware to accompany its spangly new OS, rather than just dump it on the same hardware as Android, bar a couple of button changes. When Nokia unveiled the Lumia 800 alongside its lower-end cousin, the Lumia 710, release information was tentative. We now know that the UK release for the handset will be November 16th, which is less than a week away. Unfortunately though, that release date appears to be for the standard black version of the hardware. If you’re more keen on the pink or cyan versions, then you’re going to be in for a little wait. According to a source of Pocket-Lint, one which they appear to trust, the cyan Lumia 800 will go on sale in early December in the United Kingdom, which while irritating isn’t really going to ruin the launch too much. That said, the cyan model is possibly our favorite here at Redmond Pie. If you’re holding out for the pink Lumia 800 though, the news isn’t quite so good. Apart from us having to inform you that you clearly have no taste or posses a severe case of color-blindness, the bad news is that the pink edition isn’t expected to arrive in-stores until ‘early 2012.’ Yep, that’s as specific as it’s going to get. 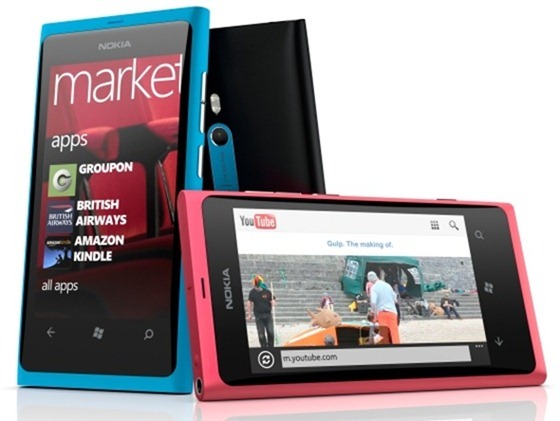 According to a very trusted source, the cyan Nokia Lumia 800 will launch in the first week of December, two weeks after the official launch of the new phone, while the pink Nokia Lumia 800 will be in shops early 2012. We’re quietly giddy about the chance of getting our hands on a Lumia 800 other than the short testing we’ve already had with it. We didn’t get much time with the handset, but it was enough to know that it is possibly the best Windows Phone 7 phone we’ve tried, but we’re not ones for massive screens, either. Still no real word on availability in the United States, but if you’re really keen on getting one then there is always the import route, should you be feeling particularly frisky.